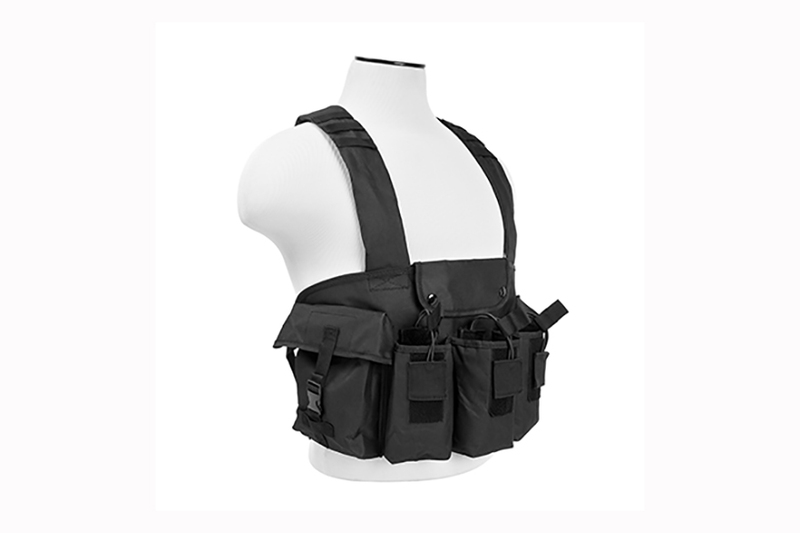 Chest Rig for AK-47 mags, with criss-cross style shoulder straps, by VISM. Black. New. 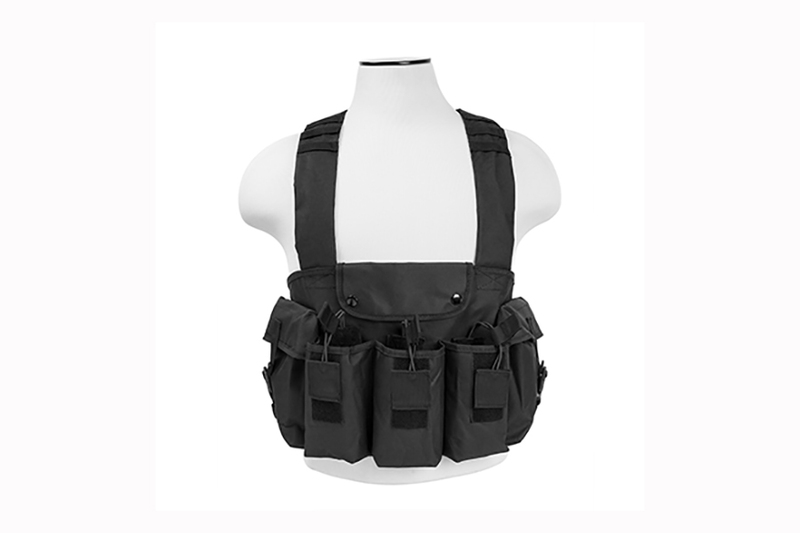 -Includes 3 double AK magazine pouches with bungee retaining straps that carry up to 6 magazines. 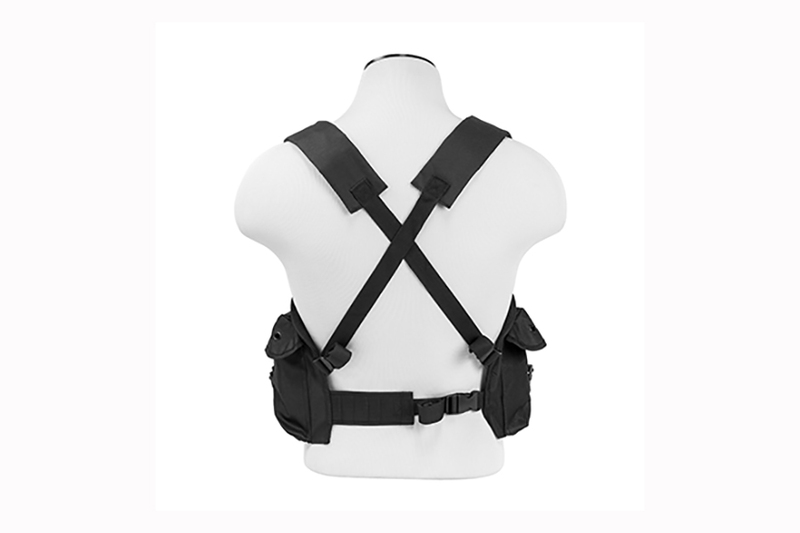 -Two gear pouches on the sides for any extra gear you might need. 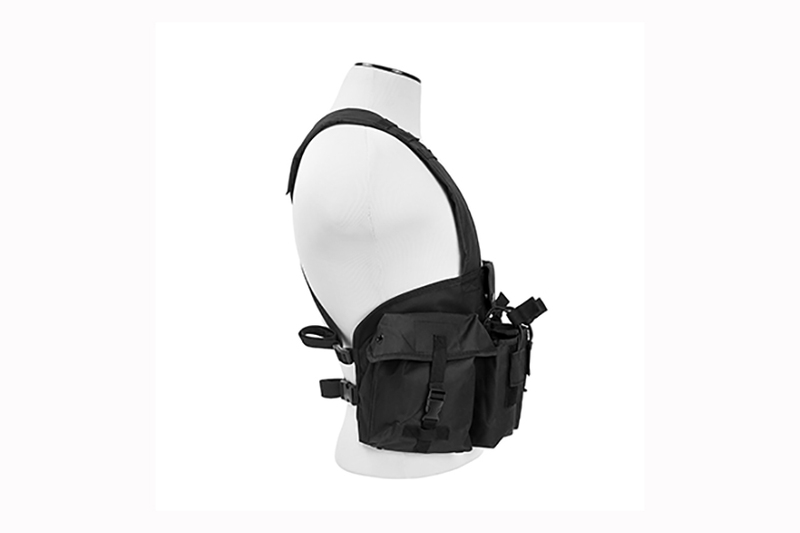 -One center pouch for extra equipment/gear. MFG part# CVAKCR2921B. Black. New. Nice rig. I like the fact its big enough to wear a coat under it and still have room to adjust. Good quality for the price.